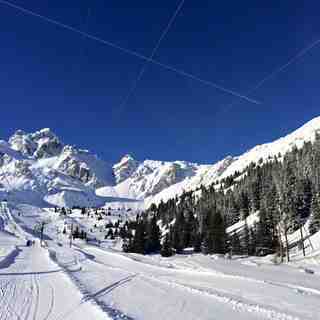 Sta nevicando in Courchevel ?Grazie! A light covering of new snow, mostly falling Venerdì mattina. Temperatures will be below freezing (max 0°C Sabato pomeriggio, min -4°C Venerdì notte). Wind will be generally light. Mostly dry. Freeze-thaw conditions (max 6°C Mercoledì pomeriggio, min -4°C Lunedì mattina). Wind will be generally light. La tabella sopra da le previsioni meteo per Courchevel a specifiche altezze 2038 m. I nostri sofisticati modelli meteo ci consentono di fornire previsioni neve per la vetta, l'area intermedia e a valle delle stazioni sciistiche di Courchevel. Per accedere alle previsioni meteo ad altre altezze, per spostarti usa tab sopra la tabella. Per una visione meteo piu' ampia , controlla la mappa meteo di France. Clicca qui per leggere ulteriori informazioni sullo zero termico e il nostro sistema di prevedere le temperature. Disagree with another reviewer. Last 3 seasons in 1650 have been great at the end of December over Christmas and New Year. The last 2 years being particularly good. The new Ariondaz lift (replaced for 2017 season) has close to doubled the capacity of the old lift and will get you over to Meribel or Val T in no time at all. 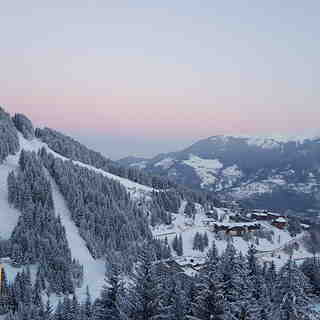 But then you’ll hit the queues of hungover students in Val and wish you’d stayed in Courchevel. Il tuo browser non supporta iframes.